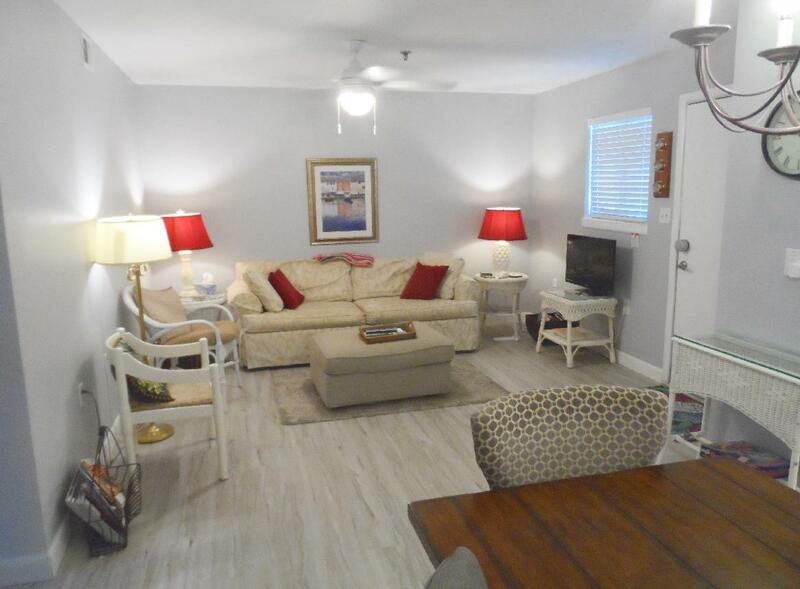 Welcome to our extended unit villa at Hilton Head Resort! 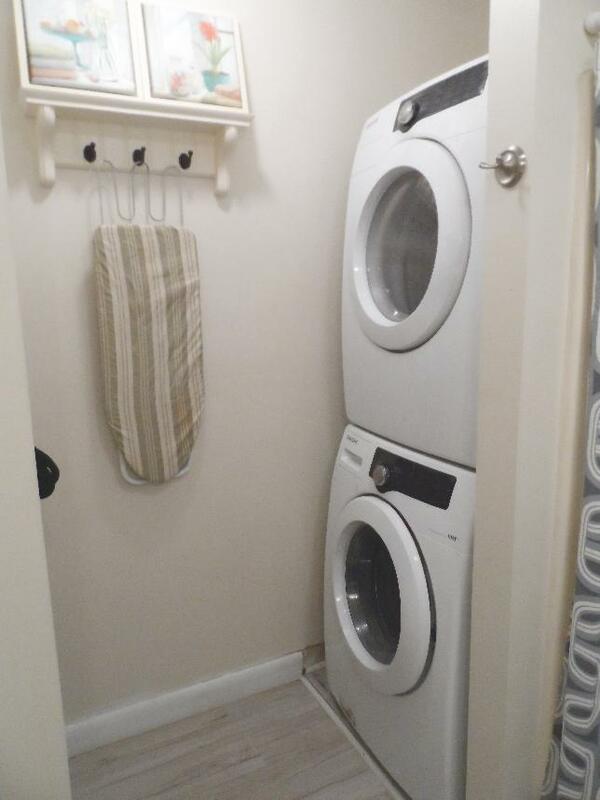 This villa has 2 full bedrooms, 2 full baths, oversized living, dining and kitchen areas plus a full size front loading washer/dryer! 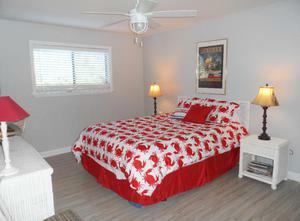 There is a queen bed in the master bedroom and a queen bed plus a twin bed in the 2nd bedroom. The condo has free wireless internet and there is a PC in the master bedroom Note: We do NOT allow guests to install software on the condo PC. The picnic area with charcoal grills is located immediately behind our condo. The building 4 outdoor pool is at the corner of our building at the end of the hall. Our condo is non-smoking and pets are absolutely NOT allowed anywhere on property! Our resort has a beach boardwalk leading to our ocean-front cabana and Coco's on the Beach! You can ride your bike from end to end (bikes must be walked in-season), take a leisurely 15 minute stroll or ride the free golf cart shuttle to the beach. At night, there are foot lights in case you want to enjoy the beach by moonlight or enjoy the cabana night life, food and drink. There are no stairs to climb and the boardwalk leads right out onto the best, and most private beach on the entire Island! You don't cross any streets or dodge any cars to get to our beach. Our beach is onsite, uncrowded and incredibly beautiful! We've been owners at Hilton Head Resort since 1997! We love the place and hope you will bring your family to enjoy the best beach vacation bargain on Hilton Head Island. Stay with us and you'll have money left over to enjoy all the island has to offer! 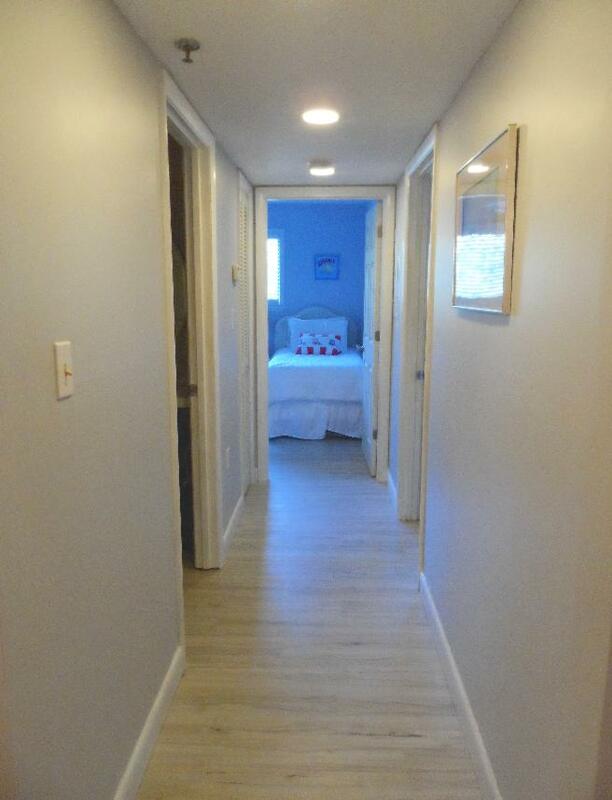 Just about everything you could want is onsite or an easy walk or bike ride away. 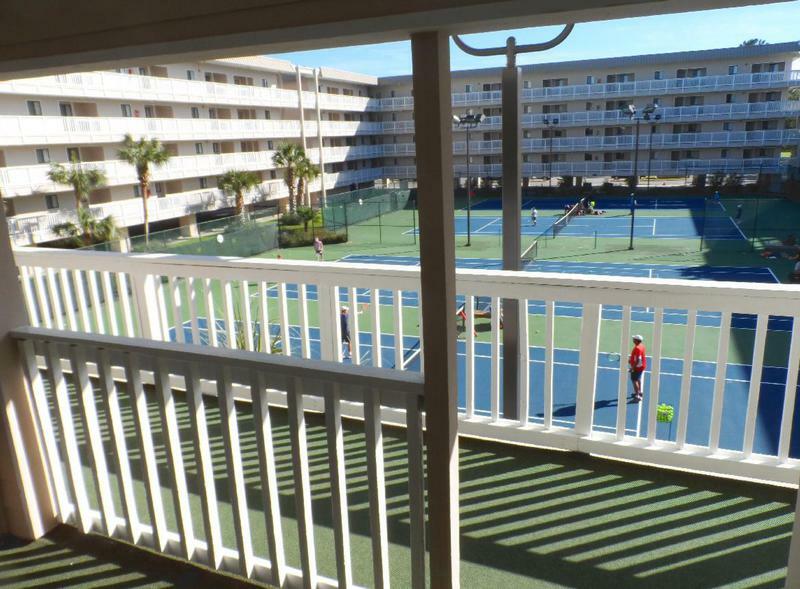 Read our guest comments page and see just how much families enjoy our condo at Hilton Head Resort! A small $100 deposit reserves your vacation! Linens, departure cleaning, parking and a starter supply of toilet paper, soap and paper towels are included in the rental rate. Reservation deposits are not refundable, however reschedules are fine up to three days prior to arrival. 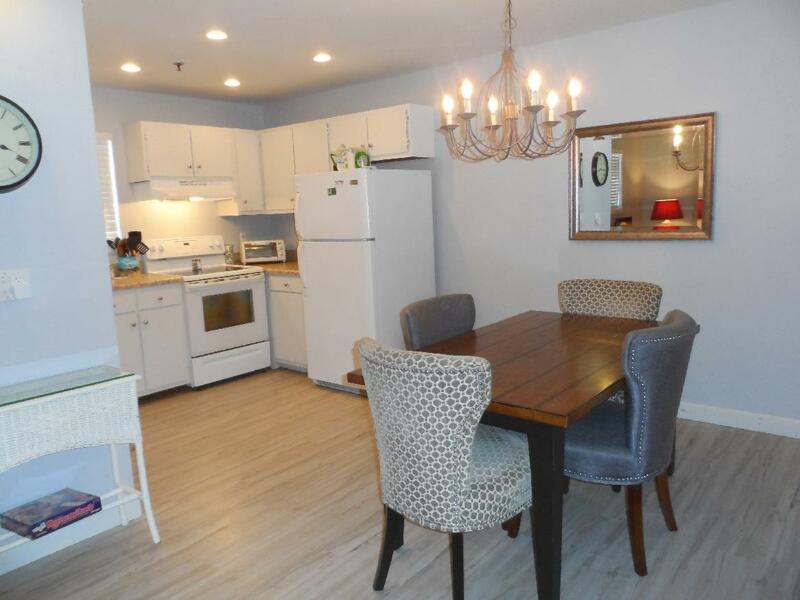 We offer a frequent renter discount if you visit again in the same calendar year! 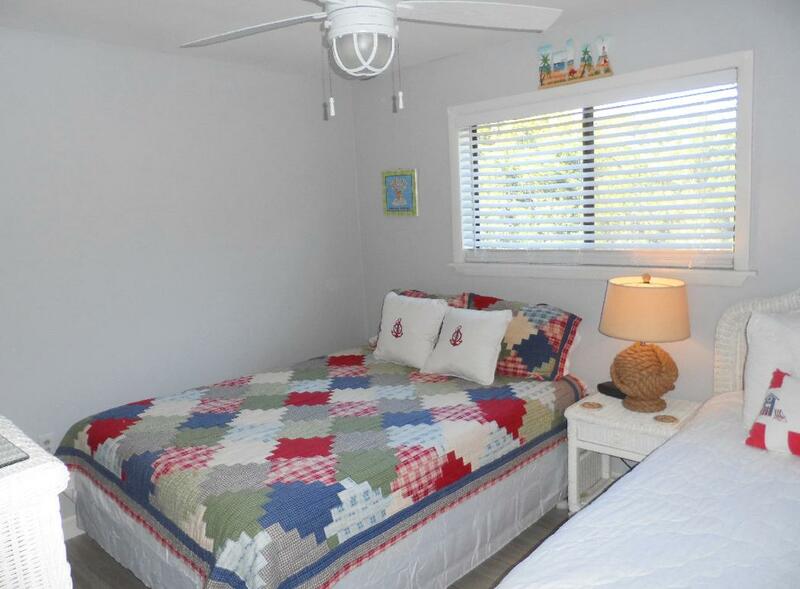 We only allow 4 adults in our 2 bedroom villa and 5 people total. Pets are NOT allowed by the resort. Our condo is non-smoking. Book Your Vacation Right Now! This availability calendar is absolutely up-to-date. 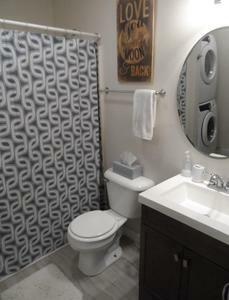 If your week shows available, you can book it now and put your vacation rental worries behind you instantly! 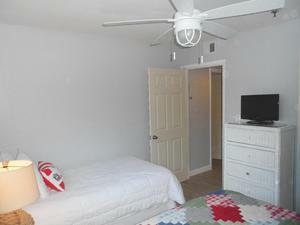 Click Here if you want detailed information about how renting from us works. We make it easy and reliable! Click here to read some comments by our guests. 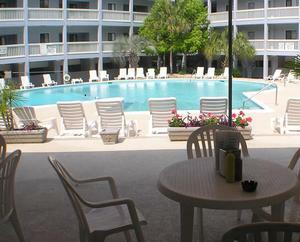 This awesome outdoor pool is a short 2 minute walk over in the blue building #1. The "Island Grill" is an excellent deli and convenience store next to the pool with a full bar! Eat lunch or a snack while the kids splash in the pool. They have great burgers, sandwiches, salads and fries. You can even order takeout. This restaurant has some of the most family-friendly food prices on the whole island! 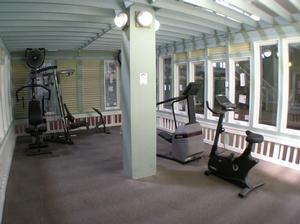 The indoor recreation center is 2 minutes from our front door in the green building. If the weather turns momentarily bad or you need a cool escape from the summer sun and heat this is where you go! 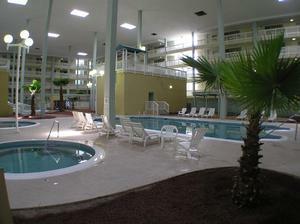 The jogging track is 1/10 mile, the pool is heated, the hot tub is HOT and the sauna will sweat all your cares away! There is free wifi so you can even work while the kids play! 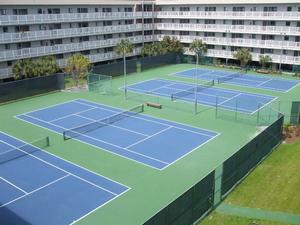 We've got six lighted tennis courts free for your use while staying in our condo! 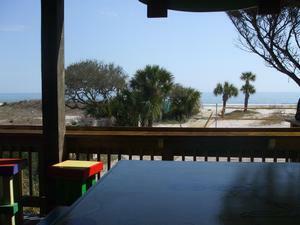 This is an ocean-front table at "Coco's on the Beach", the resort's fun outdoor bar and grill on beach! Check it out at www.cocosonthebeach.com!